Is there anything scarier than the Fear of Missing Out? According to research carried out by NOW TV, missing out on the year’s best gigs and festivals and not being up to speed with the most talked about TV shows are the moments most likely to infect us with FOMO. In fact, the FOMO is so widespread in our country that more than 1 in 5 research respondents say they would binge watch an entire TV series over one weekend, just to ensure they were up to speed and could participate in watercooler conversations with colleagues and friends! What's it all about though? Sunday night fear is no new phenomenon but for 1 in 5 adults in Ireland (21%, to be exact), it is the most petrifying point of the week. 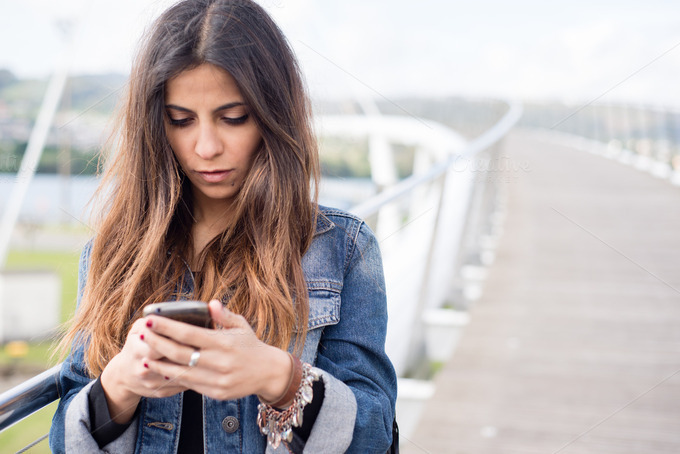 For others, seeing their boss’ number pop up on their phone gives them the chills (16%), while 18% live in fear of bumping into an ex while looking rough or make-up free. Social occasions, such as the bank holiday nights out, also strike fear into the hearts of the NOW TV survey respondents. Nearly a quarter (24%) claim that seeing pictures of a missed night out online will inflict dangerous levels of FOMO. The terror of missing something online is real, with 50% claiming they check social media as soon as they wake up in the morning, nearly a third (30%) check it before they even get into work and only 3% have the patience to wait until evening. Fear avoidance is key for some with 22% saying they have blocked someone on social media to avoid a FOMO frenzy. The NOW TV survey uncovers that entertainment envy is a major cause for Ireland’s FOMO. Missing a music festival or gig was cited (39%) as one of the most fear inducing occurrences among respondents. 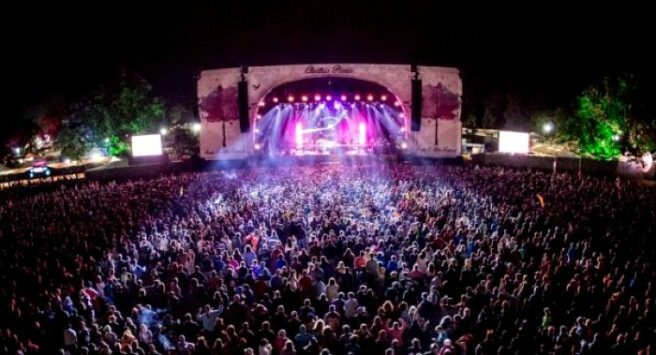 Music gigs cause more fear than sporting events, with Electric Picnic (28%) and Coldplay’s concert in Croke Park (24%) being highlighted as the nation’s biggest regrets last summer. Not being up to date on the latest movies and TV shows accounts for a substantial amount of FOMO across the country. 18% say that not watching the TV series their friends or colleagues are raving about gives them a frightful amount of FOMO.Game of Thrones was the cause of most FOMO among respondents, half (50%) say they regret not tuning in to see Jon Snow and Co while it aired. When trying to counteract the fear only 13% say they would jump into a series halfway through, 44% admitted they couldn’t bear missing out on content and would binge watch the entire series. Forget the FOMO this Halloween and catch up on all the best shows. There are plenty of bingeable box sets to sink your teeth into. 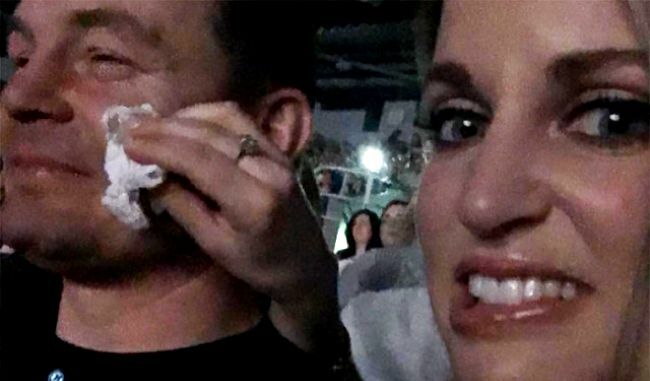 It seems Ireland’s singletons suffer more from FOMO and fear when compared to their loved-up counterparts. Over half (55%) of single people admit that being around a friend with another half gives them FOMO fever. 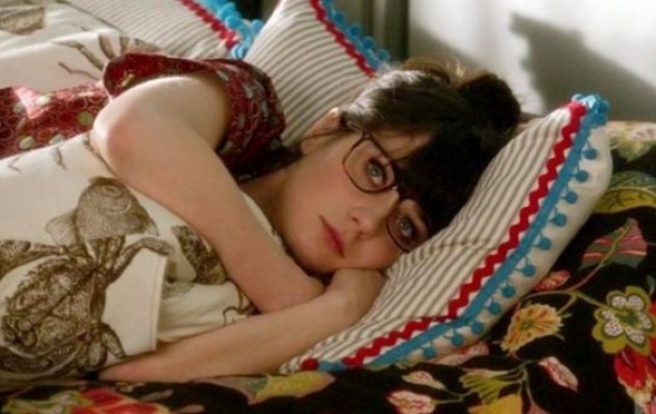 Those surveyed in a relationship are less likely to suffer from fear or FOMO. Almost three quarters (74%) say they don’t get envious when seeing their single pals going out on the town, most responding ‘I’m glad I’m passed that phase’. Those lucky in love prefer a night in watching TV with their other half (65%) over a night out on the tiles. This free from FOMO group will be glad to know that while secure in their romantic relationships, they can have a no-strings relationship with their TV streaming service. Those looking for a scare over the weekend will have plenty of options with NOW TV’s incredible selection of frightening films and terrifying TV box sets. Movies like Halloween, The Witch, Psycho, Lights Out and What Lies Beneath to TV series including the new season of The Walking Dead, Westworld and The Strain, are amongst the eerie entertainment shows available on NOW TV with no contract necessary! 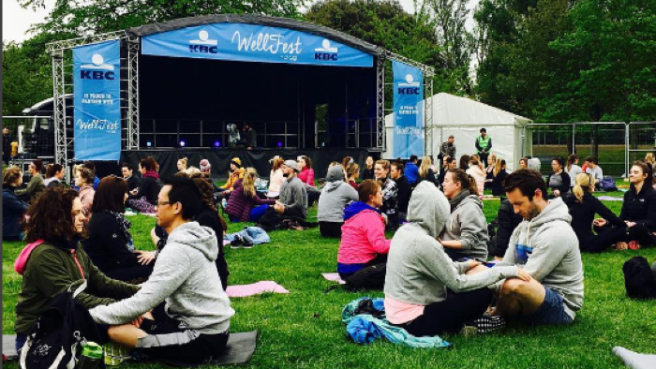 Wellfest kicked off in Herbert Park, Dublin this morning, and we're getting major FOMO looking at all the snaps from the amazing health, fitness and wellbeing festival. The likes of Joe Wicks, Coach Kavanagh, Rob Lipsett and Roz Purcell will be on hand over the weekend, giving talks, workshops and seminars. Here are a few snaps of the day unflolding. If you need us we'll be watching Youtube yoga tutorials to ward off the fitness FOMO. If you found yourself baffled by the phrase FOMO when it first started getting bandied around, you're not alone. And if FOGO is much more your jam, you're among friends here. While the rest of the world counts down the seconds to their first frosty Friday beer, you count down the seconds to your first fleecy fort-fest of the weekend. And that, ladies, is because staying in is your going out. 1. You have been known to begin undoing your jeans the minute you're through the front door. 2. You own more pairs of pyjamas and sweatpants than going-out dresses. In fact, shopping for lounge wear has always been your jam. 3. You get so much joy out of lighting your scented candles at the end of a long week. To think someone wanted you to stand in a heaving bar after work. 4. You feel no envy whatsoever when Snapcat stories of nights out start flooding in. Oh my God, the amount of PEOPLE in the background. 5. You wish the money you saved staying in went into a saving account, but instead it goes on takeaways. It's a sacrifice you're willing to make. 6. You have used every excuse in the book to avoid a night out… and never once felt guilty about it. People must take you as they find you. 7. Your friends know better than to invite you to anything last minute. 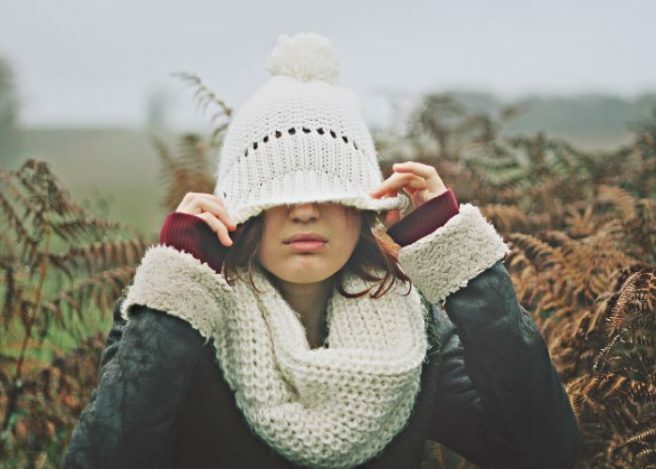 You need at least a week's notice to gird yourself for an actual (sigh) night out. 8. You cringe at the thought of a Saturday night in a city-centre nightclub. "I'm sorry, but where is the fun in being crushed and having a pint spilled down your back?" 9. The arrival of summer doesn't change anything… despite what your friends might hope. "My couch doesn't get any less comfortable just because the sun is shining, lads." 10. People who get FOMO have never chilled out on the cushion heaven you have created for yourself. "The only thing they're missing out on is my fort." We mean, how would you know if you didn't ask from time to time? 12. Having friends visit from out of town is a stress-fest because you know you'll have to entertain… outside. "This is so unfair. I'll have to actually queue in a f*cking bar for these people." 13. Your hotwater bottle is to you what clutch bags are to other girls. "Fill her up, and drop her down the front of my pyjama pants." 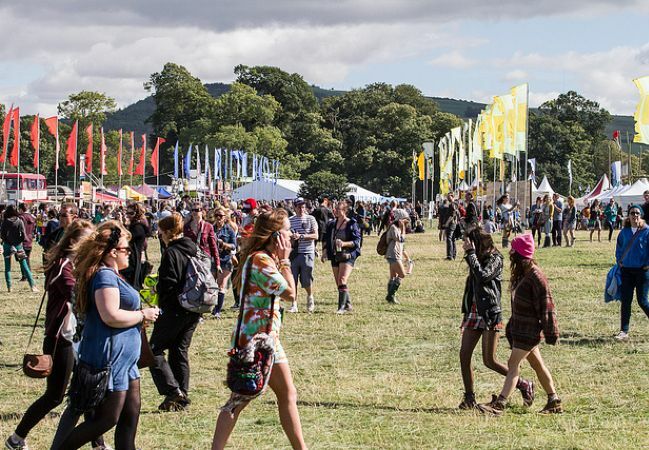 Miss out on getting tickets for Electric Picnic? Or don't have enough cash to spare for the last minute ones on sale now? Then fear not, because Netflix is jammed packed this weekend with festivals movies, documentaries and more. No, this isn't a Gossip Girl spin-off. It's an ensemble, coming-of-age movie about a group of early 20-somethings on a crazy adventure to the biggest EDM festival in America, XOXO. The film follows six strangers whose lives collide in one frenetic, dream-chasing, hopelessly romantic night. Examine the legacy and career of Daft Punk, the enigmatic EDM duo who work has crossed over to the mainstream despite secretive persona. We learn how the artists have built their music, their image and all aspects of their inspiration. Explore five key years from the extensive career of the ever-evolving Rock provocateur David Bowie, drawing from his personal archives. 4. What Happened Miss Simone? Using never before heard recordings, rare archival footage and her best known songs, this is the story of legendary singer and activist Nina Simone. We'll be honest, we're seriously looking forward to the next few months. It's full of gigs and festivals we just can't wait to go to. 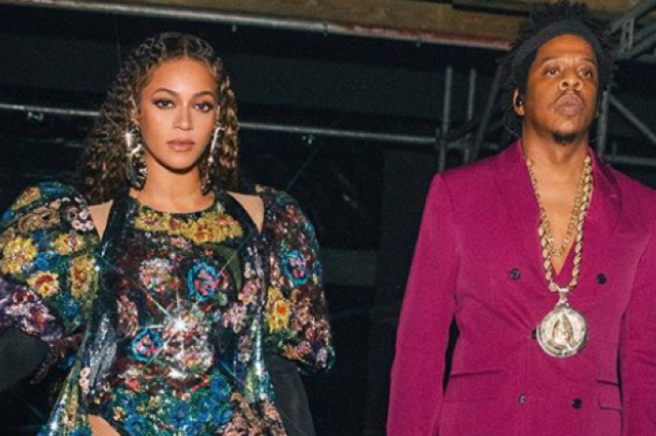 However, this year has already been jammed packed with awesome concerts and performances – and we suffered a serious amount of FOMO. Yep, #majorfomo… Those performances were serious craic. But, you don't have to miss anymore! Us gals at Shemazing! are hosting a gig in Dublin's Sugar Club to raise awareness for dating abuse, with Róisín O headlining on the night – and loads more acts to be announced – it's going to kick off July with a bang. You won't want to miss out on this one. Just keep your eyes peeled, you have no idea what we have in store *cheeky monkey emoji*. You can get your tickets here. As far as trendy addictions go, FOMO (Fear Of Missing Out) is so last year. The new widespread addiction is FOBO (Fear Of Being Offline). Yep, according to a study called Coming Of Age Onscreen – which surveyed 18-24-year-olds in 13 different countries – the majority of young people are totally addicted to their phone. In fact, 70 percent of people surveyed said they need to be able to check their phones at ALL times. Sound like you? 1. 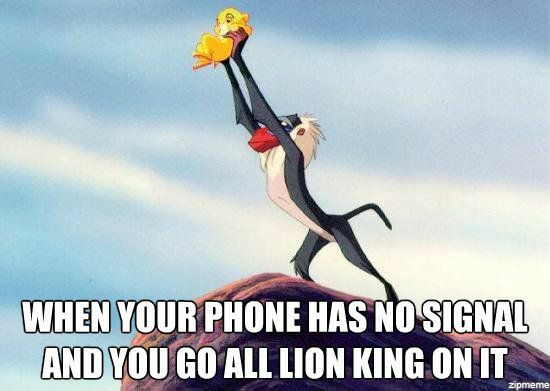 The first thing you do when you go somewhere new is check for a Wi-Fi connection and make sure your phone has a signal. 3. You treat your phone like a person with feelings. 5. 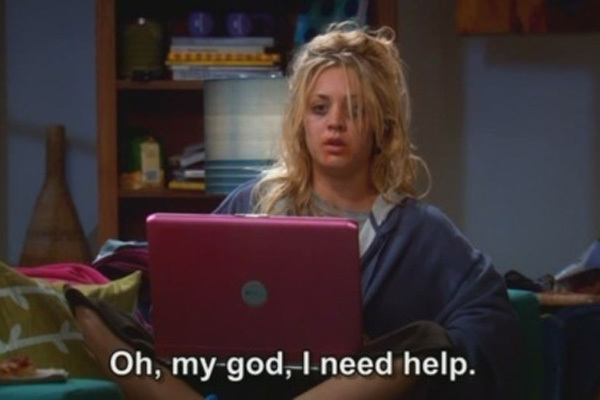 You sometimes spend the whole day on your laptop and don't realise it until you look up and it's dark outside. 6. If you leave your phone in work, you rather travel all the way back than go without. 7. And don't even talk about planes. 8.You've gone to extreme lengths to charge your phone. 9. And a slow-loading page throws you into a crisis. 10. Losing your phone = losing your BFF. Honestly, we can't live without our phones and usually – thank god – we never really have to. But our digital dependency isn't necessarily the healthiest habit to have. 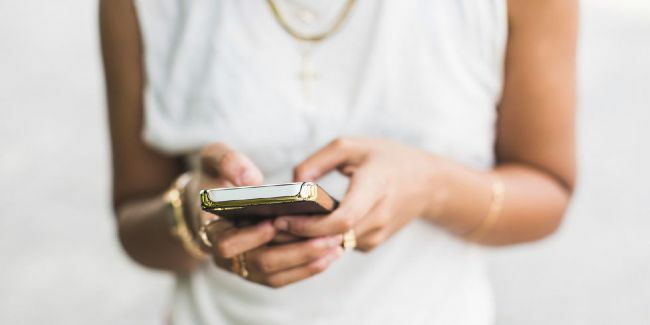 Look out for these scary side effects of constantly using your mobile phone – they'll make you feel much better the next time your battery dies. Whenever you stare at your phone screen (or alternate between a phone and computer screen) for a prolonged amount of time, you risk dry eyes from blinking less, headaches, blurred vision and general eye strain. Looking into the distance for a few minutes can help, as well as an anti-glare screen for your computer and frequent blinking. 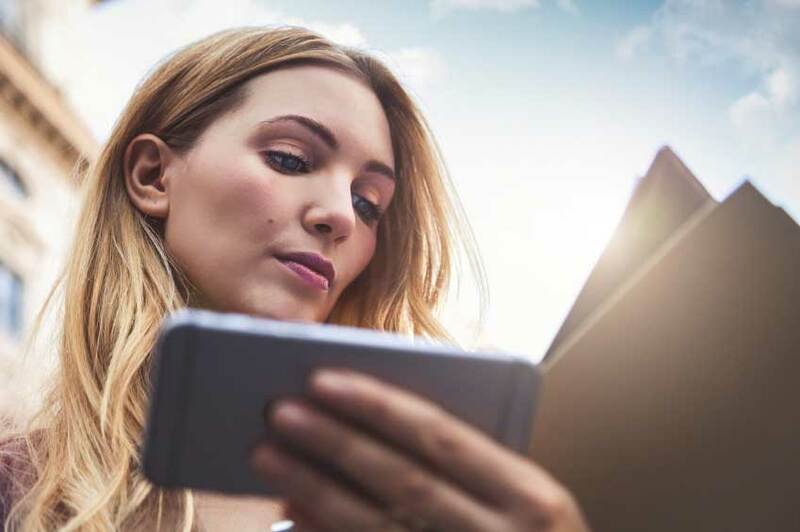 With a smartphone handy, there's no reason to memorise things you know you can look up easily – like phone numbers for instance. And when you stop memorising facts and figures, your memory can become a little lazy. Try a few memory games to keep your brain at top speed. 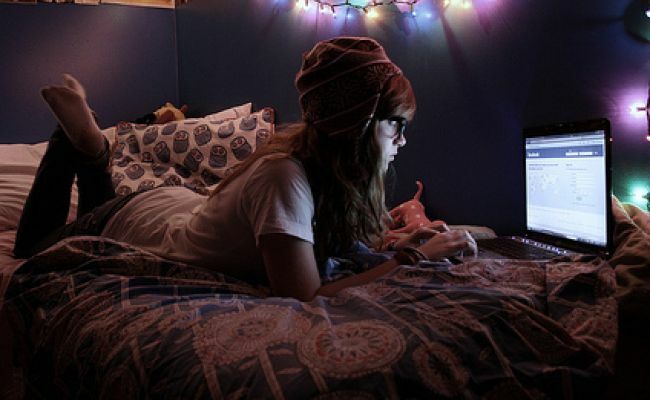 If you're part of the 95 percent of people who use an electronic device just before bedtime, the artificial blue light could suppress the hormones that promote sleep and make it harder to go to bed. Of course there's the added problem of your phone vibrating and beeping that can wake you up during the night. Sleep mode is so underrated on phones and late night texts are like, Really?! Constantly placing your fingers on your phone can actually spread a lot of germs. So, when you take a call, all those germs and bacteria are transferred to your face. Ew, right? Always carry around some hand sanitizer to help keep those nasty germs at bay. Ah, the Fear Of Missing Out. Now, we know this isn't necessarily related to our health, but it can make us feel seriously down. Scrolling through photos of friends on a night out while your sitting at home in your PJs can make the best of us feel down in the dumps. 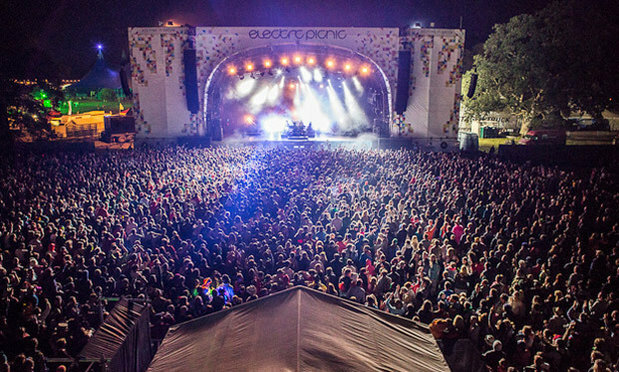 The big weekend is finally here; Electric Picnic has begun. Unfortunately not everyone could make the trek to Stradbally for all the antics. The FOMO is string this weekend, it seems that no matter where you look there are constant reminders of all the musical fun people are having. Comedian Chris Williams was given charge of the Ireland Twitter account today and came up with a genius and hilarious tactic to help ease the pain for those not at the festival this weekend. #EPathome was trending on Irish twitter for most of this afternoon. We rounded up some of the best tweets to give you a good laugh so you don’t feel too bad about missing out on the festival craic. Our generation has been afforded so many more opportunities than our parents before us. We can travel across the world at the drop of a hat (provided we have a few quid), we can have a cross-continental video chat simply by pressing a few buttons, and we can discover exactly what’s going on all over the world with a few quick scrolls on our smartphone. Our little bubble can be as big or as small as we want it to be. It can stretch across the globe, or it can be confined to our couch, a onesie and the TV. While it’s truly amazing and eye-opening to have the freedom to be part of anything, at any time, that open door also comes with a few problems. If you’re the kind of person who hates being left out of a conversation, or hates missing even the smallest of events with friends, you’ve definitely experienced FOMO at one point or another. Let’s face it, you probably experience it at least once a day. As the generation that has so many opportunities for discovery and exploration at our fingertips, it almost feels shameful to say “no” to an invitation. Why stay in for a quiet night when we could be out and about again, meeting new people and having incredible experiences? Sometimes though, a reality check can go a long way. Yes, we might miss out on a life-changing experience at that gig/cinema trip/lunch, but in all likelihood, we probably won’t. 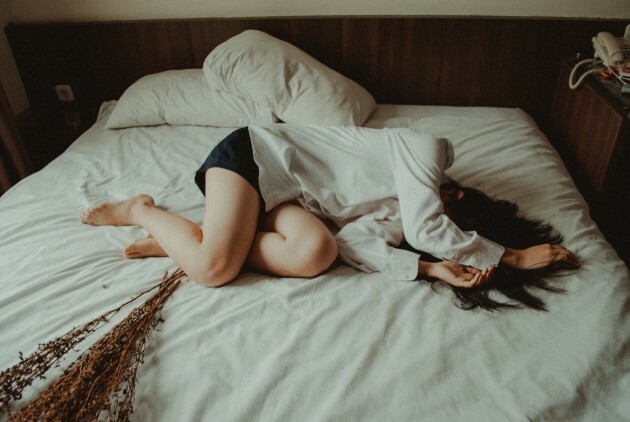 All it will have resulted in is that we’ve now spread ourselves too thin and let ourselves down in other ways – by not getting enough sleep, by losing focus at work, or by missing out on family time. As much as we need social experiences in our lives, we also need to maintain some sense of stability and balance. By rushing around trying to see everyone and discover everything that’s out there for us, we only end up missing out on the things that matter most – contentment and fulfilment. So tonight, why not skip that invite for drinks that you really can’t afford a month before Christmas, and snuggle up with a cuppa and the Late Late Toy Show? Allow yourself to spend quality time alone or with family. Don’t stress about what you’re missing out on in the big bad world – just get settled in the moment and enjoy it.